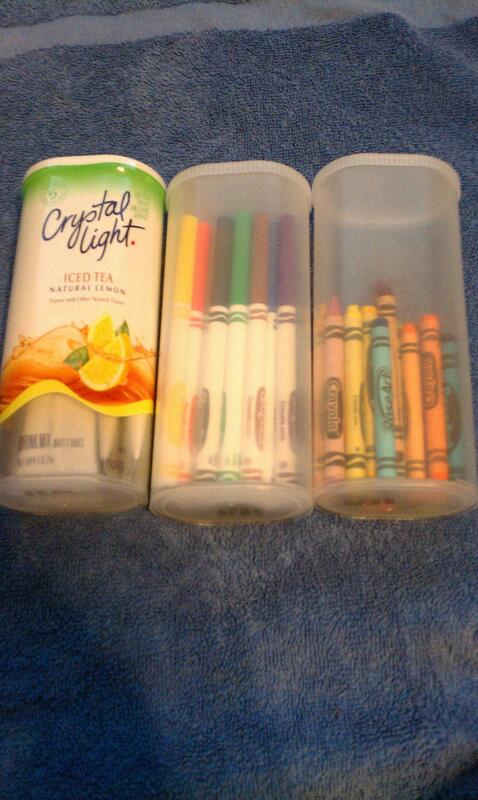 HomeDiy Organization Ideasusing crystal light containers for grab and go crayons, markers, and colored pencils! using crystal light containers for grab and go crayons, markers, and colored pencils! Awesome idea for an old tv armoire that can be turned into Craft Central! And, it can all closed up when not in use…priceless idea : ) Thank you to Creating Keepsakes for this idea.